Escondido California is a mid-size community with a large-size heart. 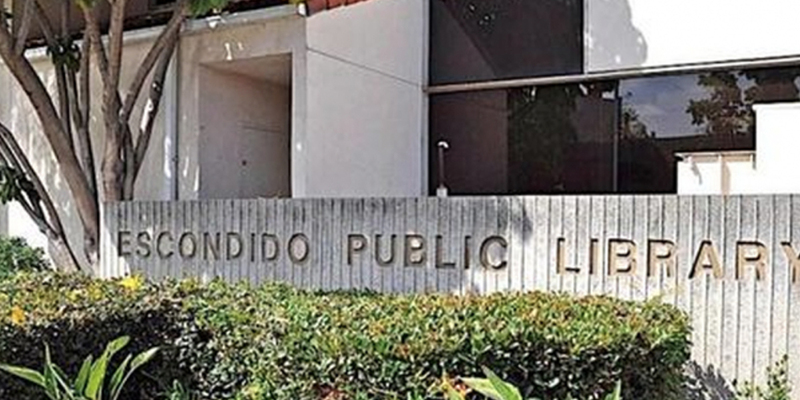 The City’s single-location library, Escondido Public Library (EPL), serving Escondido since 1894, has always worked valiantly to keep pace with the demands of a diverse population and fast-changing library landscape. At the same time, City officials remain intent on providing high service standards during a time of increased budget demands. Innovative thinking was crucial as City leaders recognized the need for excellent library services at lower cost. One option—outsourcing library operations—came to the fore. There was plenty of evidence to support library outsourcing as a successful model with scores of California libraries operated by a private company for more than 20 years. The momentum was interrupted when a group of passionate and boisterous community members protested the possibility of library outsourcing. Local media covered the controversy and the true story seemed lost in hyperbole. City leadership stayed the course and City Council members voted to engage Library Systems & Services (LS&S) to assume library operation. While LS&S would manage day-to-day operations, the City retained ownership of the building and books, materials, technology and equipment. The outsourcing agreement included retention of all employees, addition of Sunday hours, deployment of contemporary library technology, enhanced user experiences and improved collection analysis and cataloging, all while saving the City $400K/year and $4M over ten years. As library staff—the same people who previously worked for EPL—were freed from back office operations, they were able to focus on offering educational programs, providing outreach in the community, and spending one-on-one time with patrons. Staff report being able to continue doing what they love and do well, with the support of managers equipping them to do better. Interactive weekly emails and webinars keep staff in touch with peer libraries, helping them feel supported, while they manage daily operations locally since they know the community best. Some staff members had been at EPL for many years and forged close ties with the community. They have worked with the local businesses and Escondido’s teachers, and know many of the patrons who walk through the doors every day. Regular patrons, who knew and liked the staff they had come to know, realized those relationships would not change. Starting with the transition and continuing into day-to-day operations, LS&S works closely with City staff to ensure alignment. The new library director quickly acclimated to Escondido and established strong bonds with staff and patrons. Soon hundreds of patrons were attending innovative new programs at the library and checking out more materials than ever. EPL’s Board of Trustees and City leaders were pleased with the transition and wanted to solidify a plan for the future. LS&S collaborated with EPL and City staff, library volunteers and the community on a strategic plan to guide the Library for the coming five years. EPL’s first-ever strategic plan, delivered and adopted in July 2018, was met with strong stakeholder approval and charts a course to growth and enhanced service to the community. Volunteers, always an EPL strength, continue to give of their time and talent. EPL enjoys the support of more than 200 volunteers and five support groups—Library Board of Trustees, Friends of the Library, Escondido Library Foundation, Friends of Literacy and the Pioneer Room Friends—and has for many years. That support continues as hardworking volunteers operate the EPL Bookstoreand assist with numerous other activities across the library. With the support of LS&S, continuous improvement and innovation are the standard. Together, City officials, library staff and volunteers are focused on ensuring that the Library is an open, welcoming environment, with modern facilities that function properly for the community. EPL services and visitors’ needs change over time, but this public-private partnership enables staff to respond quickly and flexibly, improving EPL’s ability to serve the citizens of Escondido today and preparing EPL to tackle new challenges the future will bring. Library Systems & Services partners with local governments to operate public libraries and library systems. Founded in 1981 and trusted by 83 libraries across the US, LS&S is the nation’s only company focused on library management. LS&S library professionals work hard every day to provide excellent service to library patrons. LS&S focuses on innovation and keeps partner libraries on the leading edge of information science. As public library services shift and patrons’ expectations grow and change, LS&S channels insight and expertise to create a new paradigm for libraries—resources not just for literacy education and enrichment but springboards for neighborhood unity and economic and workforce development.